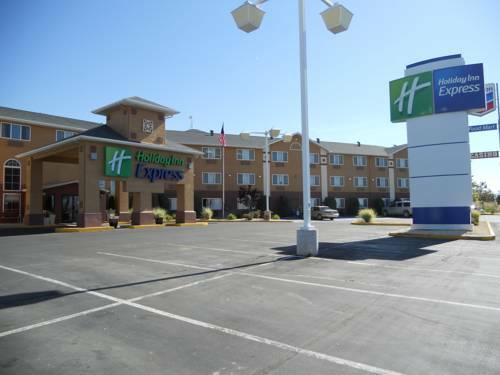 Explore Winnemucca from this Hotel's Central LocationWhile at the Holiday Inn Express Hotel Winnemucca, guests enjoy the hotel's excellent location, which is next to R&L's Express Casino. If you're looking for things to do, our proximity to golf courses and great restaurants is sure to please, as well.Need to attend meetings at the Winnemucca Convention Center? You'll be pleased to know that we're just a short drive away. The property's well-equipped meeting room also ensures that you can host an on-site event with ease. When in the area for work, you'll have no trouble finishing paperwork thanks to the Business Center at this Winnemucca hotel.Winnemucca, NV guests enjoy the hotel's proximity to Basque restaurants, which offers visitors a chance to experience the Basque culture and cuisine. While staying with us, check out the exciting R&L's Express Casino or enjoy a round of golf at the Winnemucca Golf Course. Furthermore, the fascinating Humboldt County Museum and America's Car Collection - Flying a Garage are also a short drive from this Winnemucca hotel.When visiting Winnemucca, NV, take a moment to stop by the delicious and complimentary, hot Express Start Breakfast Bar and start your day off the right way. We also offer free high-speed, wireless Internet access throughout our facilities, and other amenities include an indoor pool and a whirlpool. We hope you book today and take advantage of our great deals and rates. Room for about 20 people. Nice Golf course with beautiful new ponds.